Our Annual Business Meeting and Quarterly Meeting will be held on Sunday, August 28, 2005, at the Alvin Senior Center (West Wing), 309 W. Sealy. Annual Business Meeting begins at 2:00 p.m. followed by Quarterly Session, refreshments and program. 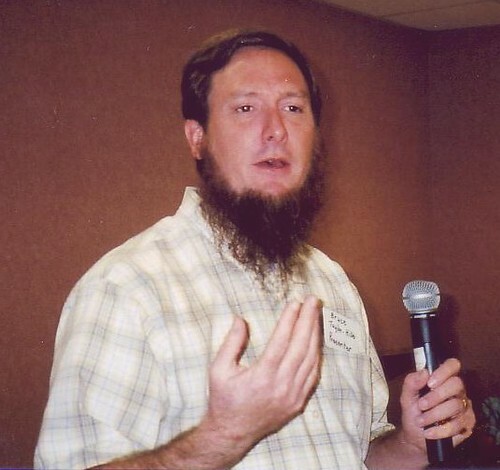 We are pleased to have Bruce Taylor-Hille, Program Coordinator at the Brazoria County Historical Museum, who will describe the annual Austin Town celebration in Angleton. The Austin Town celebration depicts a living history remembrance of life as it was when Stephen F. Austin mapped out Brazoria County. Bruce will bring replicas of tools used for builing log cabins and will illustrate their use. You don't want to miss this very informative presentation. Bring family and friends and join us on Sunday, August 28th! Dues are Due! Just a reminder. The fiscal year for the Alvin Museum Society began June 1st. If you haven't paid your dues, please send them in now. A membership form is included in the quarterly newsletter. If you can't find one, please send an email via the comment icon at the end of this post. If you haven't joined the Alvin Museum Society or you've let you membership lapse, join NOW. 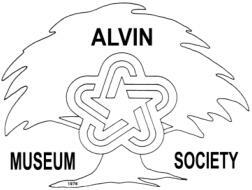 For as little as $5.00 you can be a member of the Alvin Museum Society and help preseve Alvin's history. Various membership types and levels are available. For information, email via the comment icon at the end of this post. Your dues support the educational and public information activities of the Alvin Museum Society.